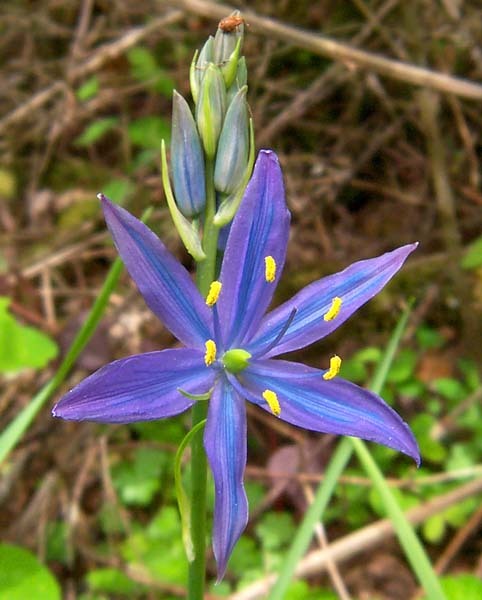 Common Camas has grass like leaves and grows from a small bulb. This bulb was a staple food for many of the Native Americans in the Willamette valley and surrounding area. Be sure to not confuse the blue flowering Common Camas with the cream colored Death-Camas whos bulbs are very toxic and can be fatal! Common Camas is a member of the Lily Family.